I am obsessed with painting my nails and am often changing the colour daily. The smallest chip and I want to redo them. 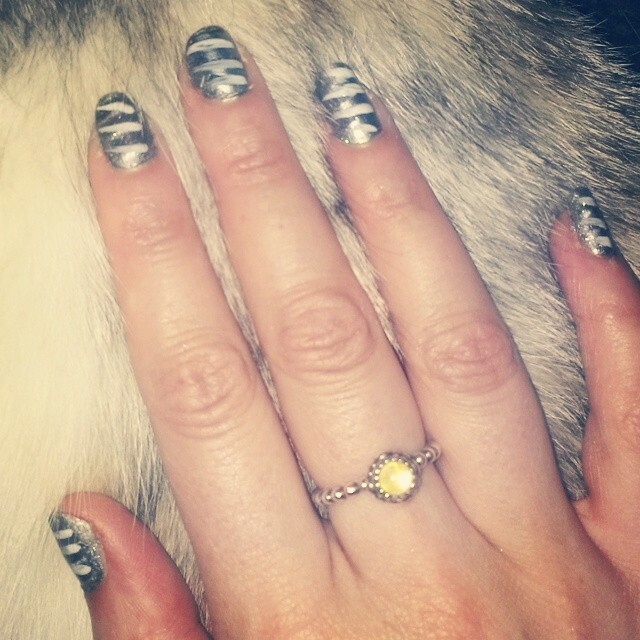 I love bright colours and patterns and after a recent trip to Wah Nails*1 I am feeling very inspired. 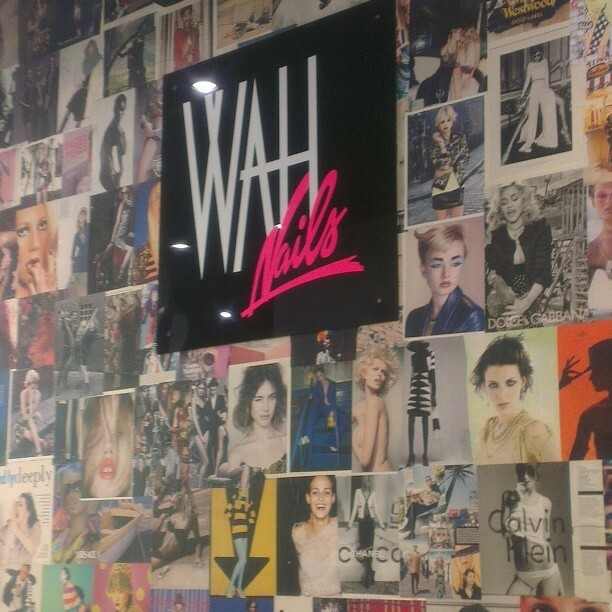 Wah Nails is in Topshop on Oxford Street so I went with my sister and we spent the day shopping, lunching and having our nails done. The salon itself is small and sweet with an amazing collage wall and lovely chatty staff. It feels like such a treat and a step up from a “normal” manicure. They will either work on your own nails or on false nails. My sister had some multi-coloured leopard print nails done which were gorgeous! All the details were hand painted with a very steady hand. And the lovely glossy finish is due to Selche Vite top coat*2 which I have now bought and will use all the time as so robust. I am hoping this will stop me from changing my nails so often. She decided on multi-coloured in brights but you can pick any colour(s) you want. 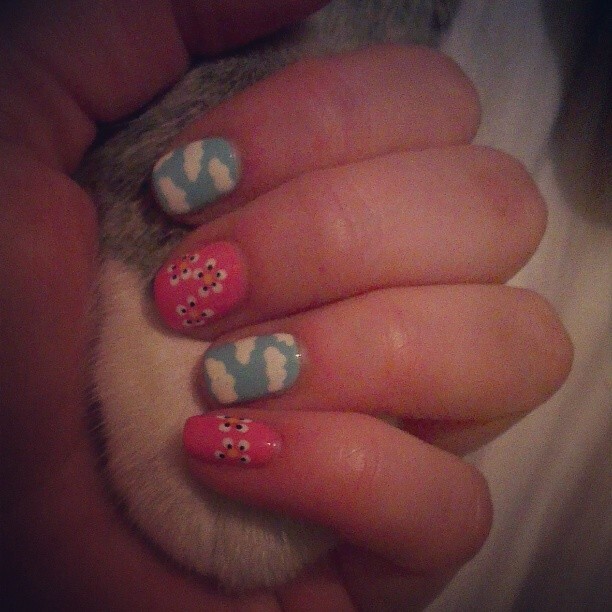 However on the day I was feeling slightly less “catty” so I went with clouds and flowers which were super cute. Again I could have picked any colours and I went with pastels. 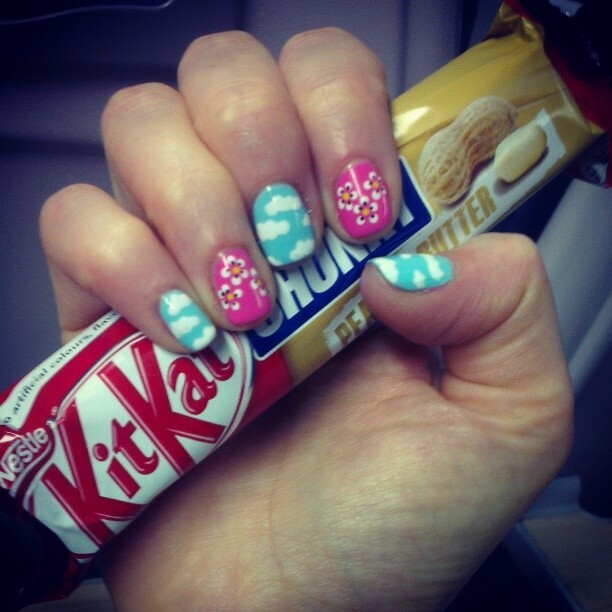 The great thing about my nails (the clouds in particular) is I was able to fix any chips fairly easily. They lasted 2 weeks for me and 3 for my sister. 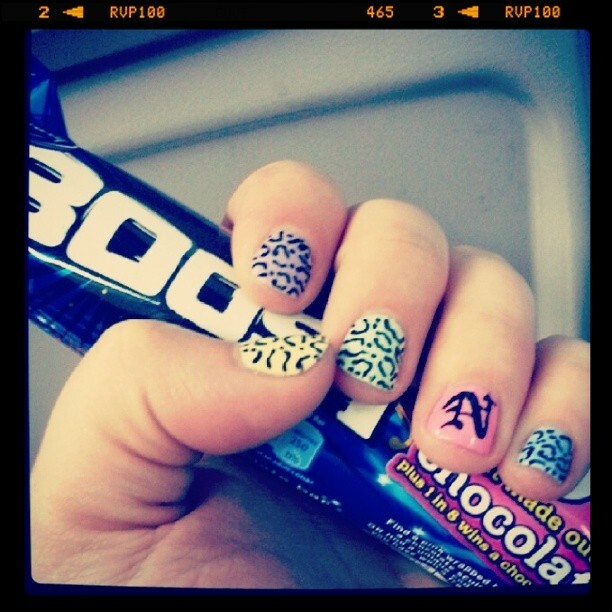 This was using my Barry M magnetic polish*3. These work great and are so quick and easy to use. They advise you to do one coat and let dry, then another coat and hold the magnet in the lid over this second coat. The first few times I followed this and it looked good. This time I was in a rush and put the magnet immediately on the first coat. It worked pretty well but I also used my white and silver nail pens*4 to enhance the stripes and make the effect stand out more. I have some really cool cat nail stickers which I will show you at some point on the blog too. This entry was posted in Beauty, Fashion, General on July 28, 2014 by "The Cats Mother".